This special holiday event will give viewers a "behind the scenes" look at what happens at BUTTER Projects between exhibitions. Current works by Alison Wong, Kelly Frank, Elizabeth Boyd Hartmann and Jacklyn Brickman will be featured alongside works in progress. 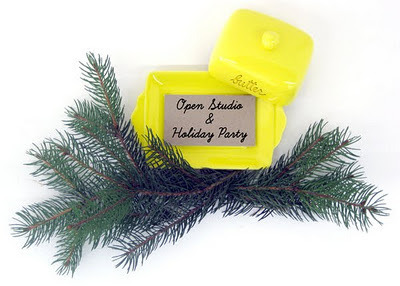 Open Studio and Holiday Party!